TV on. Remote in hand, I would watch you. You spoke clearly, lucidly, wrapping words in compassion, directed at a people whose criminal justice system marked your child guilty. You looked tall. I wondered if grief stretched your body, or maybe grief was a laser that honed every inch of your mama brown self on due process and the pursuit of justice. Trayvon. A nation knows his name. He was your baby. Can you even talk about him in the past tense? Folk spoke about your elegance, your grace. I remember that one press conference when you told us: “It’s not a black or white thing, its a wrong or right thing.” Those words freed parts of a nation addicted to false notions of their own innocence to join a movement. White, black, brown, yellow stood up and called for justice. There was a trial. Six women jurors applauded the actions of a killer. My mama was here when the verdict came. She sat beside me as breaking news announced words unrepeatable by lovers of justice. My mama asked me to explain. I had no words. She stood up, pulled me by my hand and wrapped her arms around me. I am taller than my mama. I imagine your baby was maybe taller than you. And you will never feel his arms around you again, as my mama felt mine around her, nor will you inhale again the smell of your child, which reached into your skin, your mouth, your heart, your womb, in ways unknowable to anybody other than a mama. Your body carried him and somehow it carried you through this public criminal justice process that demands a black woman maintain peace about this horrifically intimate relationship with violence and be reasonable about murder and burying her baby. Ms Sybrina, I wonder who holds you up when all the parts that managed to stand, fold up, fold in, sink, plummet, drown. We speak your baby’s name– a child turned ancestor, Trayvon Martin. 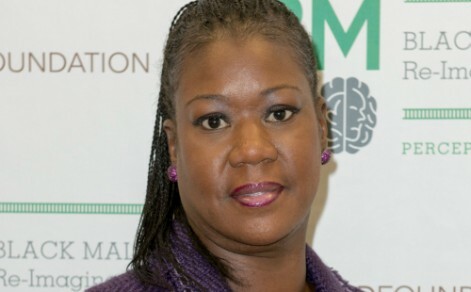 We speak yours too in shared outrage, in love, in compassion, Sybrina Fulton. Yesterday on his birthday it was announced that there would be a “Celebrity Boxing Match” between George Zimmerman– Trayvon’s murderer, and DMX. This sick spectacle of violence and male bravado is just an opportunity for Zim to piss on the memory of Trayvon Martin and to escalate racial tensions all while pocketing a load of cash. I can’t imagine how Ms. Fulton must feel. The anger and pain that this fight surely stirs up in a place that she has yet to heal and understand is inconceivable and inmeasurable. This fight is wrong and it must not happen! Please sign this petition so that the government can intervene and cancel it. Please do this today. Thank you. And where’s Eric Holder with those damn federal charges. Lock this roach up! Enough is enough! 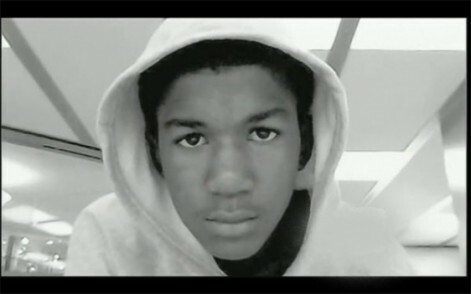 Despite this ridiculous attempt to keep him rolling over in his grave, may Trayvon continue to rest in peace.